In the largest and most poverty-stricken diocese in Tijuana, Mexico, just south of the border from California, Jesse Esqueda, OMI, went to work two years ago at his first mission as an Oblate priest. This year, with the San Eugenio Parish mission right-sized and turned over to the Archdiocese, Fr. Esqueda and the mission will move to where the need is even greater – the poorest and least developed part of the parish to the east. Born in Mexico, and raised in Southern California, Fr. Esqueda grew up “a curious child,” he said, raised in a home filled with music and faith. His father passed away in 1993 and his mother lost a battle with cancer last September. As an outgoing child, Fr. 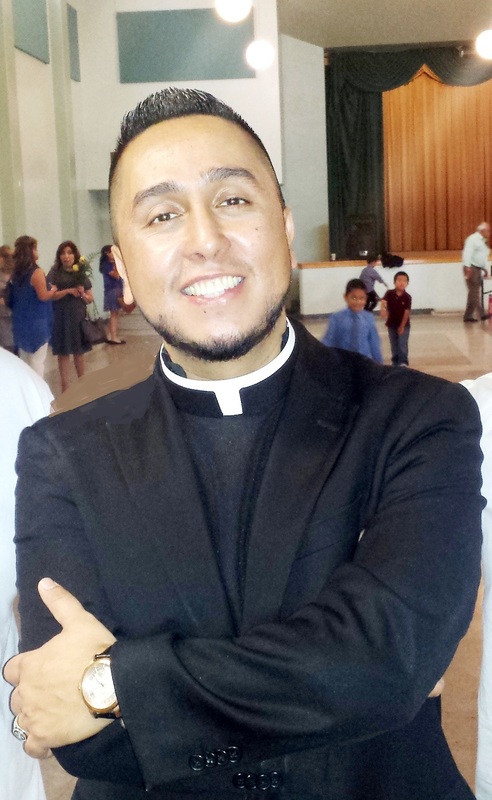 Esqueda had been so involved in his parish growing up that when he graduated from high school, he joined a SEARCH retreat ministry in Los Angeles. “It was during this time that I discovered my talents and passion for service,” he said. So he followed a call to become a long-term missionary experience in Honduras, Central America. There, he worked in the Diocese of San Pedro Sula as a youth advisor and elementary school teacher, also volunteering in an orphanage of children living with HIV/AIDS while pursuing a theology degree from the Catholic University in Honduras. 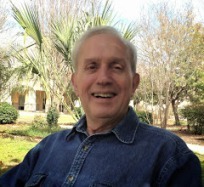 He entered the pre-novitiate program in Buffalo, NY, in 2007, then continued his formation at the Oblate Novitiate In Godfrey, Illinois, before professing fist vows as an Oblate of Mary Immaculate. In 2014, Fr. Esqueda earned a master’s degree in divinity from the Oblate School of Theology in San Antonio and was ordained a priest. He set out for his first mission in Tijuana. 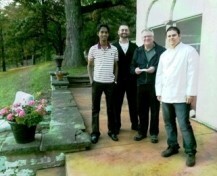 Three priests and one Oblate brother currently work at the mission. They will soon be moving the mission closer to Union Antorchista and Fuentes, where new migrants tend to build along railroad tracks, squatting on federal land, in neighborhoods lacking basic infrastructure such as paved roads, potable water, sanitation and electricity. Learn more about the mission and the people of San Eugenio here. Fr. Esqueda with the youth ministry program. There are over 300 active youth from Tijuana in the program. 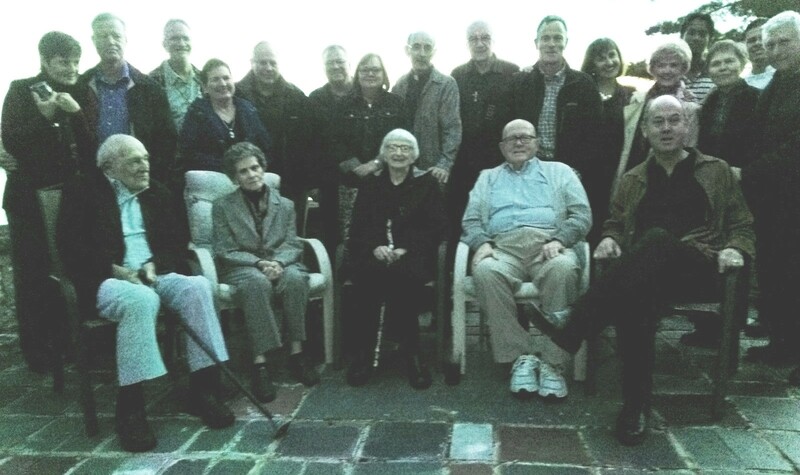 The Missionary Oblate Partnership Endowment, thanks to a $1 million gift from a fellow Partner, now has over $1,250,000 in funds that are set aside to aid the US Province of Oblates in making supporting grants to their brother Oblates around the world. Each year the Oblates of the US receive several requests from OMI communities across the globe, asking support for needs that range from basic human development projects (clean water, medicines) to schools and seminary training for Oblate vocations. The 2016 Gerard Award was presented to John and Gee Gee Whitehurst at a Mass and ceremony that included US Oblate Provincial Bill Antone, OMI and Whitehurst friend Archbishop Gustavo Garca-Siller, M.Sp.S. 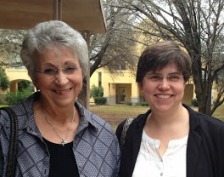 The presentation was made on Saturday, January 23 at the St. Joseph Chapel at the Oblate Renewal Center in San Antonio. 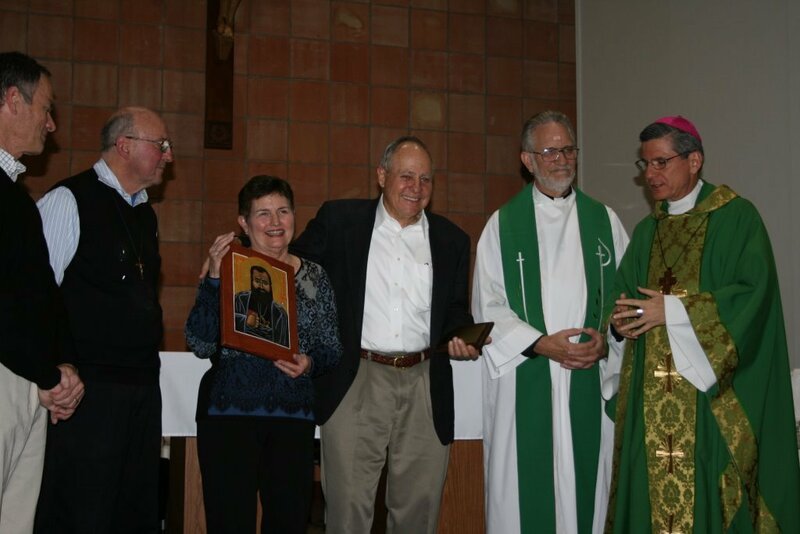 The Gerard Award is given to Partners and others who manifest the qualities that marked the life of the famous Oblate missionary to southern Africa, Blessed Joseph Gerard, OMI. The award itself is an icon of Blessed Gerard and the 2016 icon was created by Oblate artist and iconographer Clyde Rausch, OMI. Qualities recognized include an abiding missionary faith, perseverance in the care of others, and a joyful dedication to the Gospel. John and Gee Gee’s support of the Partnership, several Oblate ministries and particular support for several individual Oblates and other missionary men and women have characterized their lives. Along with their son Michael Whitehurst, John and Gee Gee were among the earliest members of the Partnership. They live in San Antonio. 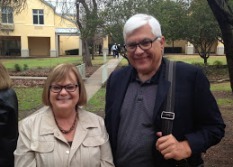 The 6th Annual De Mazenod Conference, sponsored by the Missionary Oblate Partnership, was held at the Oblate Renewal Center in San Antonio, January 22-24, 2016. The topic for weekend conference was “ARE WE READY? 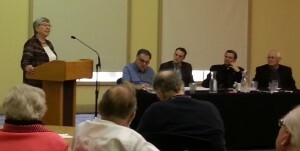 The implications of Pope Francis and Laudato Si.” Attended each year by members of the Partnership, Oblates from the US and around the world, OST faculty and staff, and foundations and other Catholic institutions, the De Mazenod Conference is designed to offer dedicated reflection and discussion around issues affecting individual Catholics and the Church. ARE WE READY? speakers included former Colorado Governor Bill Ritter, who served as an advisor to the Vatican on Laudato Si, Sr. Maxine Pohlman, SSND, a director with the US Oblate Ecological Initiative, and Seamus Finn, OMI, who serves as chairman of the Interfaith Center for Corporate Responsibility. Together they guided the group of nearly 60 conferees in sessions that included review of Francis’ remarks on key topics of the Encyclical: humanity’s integral identity, our stewardship of the earth and its resources, and the nexus of money/investments and Catholic social teaching. The Conference’s Saturday liturgy included two special moments: a homily by San Antonio Archbishop Gustavo Garcia-Siller and presentation of the Partnership’s Joseph Gerard Award to John and Gee Gee Whitehurst, Partners who live in San Antonio. The Gerard Award presentation included remarks on Gerard himself by US Oblate Provincial Bill Antone, OMI and also by Clyde Rausch, OMI, who created the Joseph Gerard icon that accompanies the Award. The costs of the De Mazenod Conference are underwritten each year by select Partners. 2016 underwriters were Cliff & Mary Jo Bolner, Bonnie & Frank Gittinger, Mary & Kevin Henseler, MD, Keith & Joanna Perkins and the Whitehursts. The 2017 De Mazenod Conference will be held again at the Oblate Renewal Center in late January. 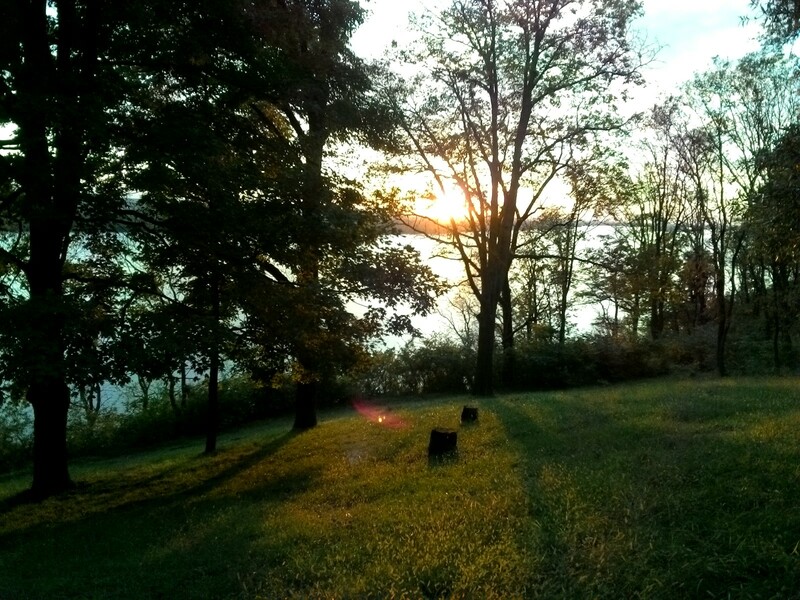 Photo credit: Diane Conocchioli, Partner and Grant-writer. Photo Credit Sunday Morning Panel: Paco Wertin. All other photo credits: Alicia von Stamwitz, Partner. Sixty-five Missionary Oblate Partners gathered in San Antonio, Texas for the 2015 DeMazenod Conference. 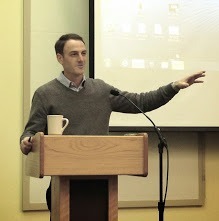 The two-day Conference was a special commemoration of the 10th Anniversary of the Partnership’s founding in May, 2005. 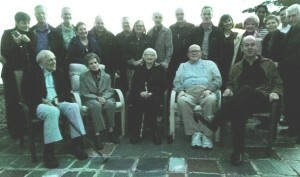 Over the last ten years, the Missionary Oblate Partnership has grown to the current 120 members, plus its two youngest members who are members of the third and fourth generation of Partners. As special and enlightening as candles on the cake, the Partners were honored by the presence of Father Tom Rosica, CSB, Founder & CEO, Salt and Light Catholic Media Foundation, and Consultor, Pontifical Council for Social Communications and Sebastian Gomes, M.A. Award-winning Producer, Salt & Light Catholic Television Network, and Most Reverend Gustavo Garcia-Siller, M.Sp.S., Archbishop of San Antonio. 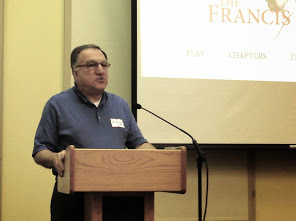 The screening of “The Francis Effect” on Friday evening was followed by in-depth and evocative presentations by Father Rosica and Sebastian on Saturday. Their thoughtful and first-hand insights into the Pontificate of Pope Francis preceded an in-depth reflection on various sections of the Pope’s Apostolic Exhortation: The Joy of The Gospel. Against this background, Father Rosica and Sebastian collaborated on the afternoon session which was an interactive discussion on the recent Extraordinary Synod on the Family. Mass on Sunday morning was offered by Archbishop Gustavo Garcia-Siller, M.Sp.S., and Very Reverend Bill Antone, OMI, US Provincial, Concelebrant. Mass was followed by a closing panel on the Synod on the Family, facilitated by Sister Theresa Sandok, OSM, President, Servants of Mary, Ladysmith. The panelists included: Father Tom Rosica, CSB, Sebastian Gomes, Archbishop Garcia-Siller, M.Sp.S., and Father Ron Rolheiser, OMI. Sister Theresa Sandok, OSM, facilitates Sunday morning’s panel discussion. 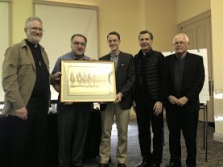 Presentation to Father Tom Rosica, CSB and Sebastian Gomes at the conclusion of Sunday’s panel discussion. Pictures left to right are: Father Bill Antone, OMI, Father Tom Rosica, CSB, Sebastian Gomes, Archbishop Gustvao Garcia-Siller, M.Sp.S., and Father Ron Rolheiser, OMI. Manifesting its life, love and family-ties, the Missionary Oblate Partnership welcomed its newest (and tiniest) members. Maggie Busch, fourth great-granddaughter of Len and Marge Busch, and treasure of her parents Travis and Mandy Knoll. Maggie was born on December 14, 2014 – on Marge’s birthday – for whom she is named. Claire Perkins, first granddaughter of Janet Payne, and treasure of Partners/parents Keith and Joanna Perkins was born on Epiphany Sunday, January 6, 2015. At its Mexican Fiesta dinner on Saturday evening, the Partnership paid a special and loving tribute to Claire and also to Father Tom Singer, OMI who has served as Spiritual Director for the last six years. Effective September 1, Father Tom will transition to more one-on-one spiritual direction primarily among the people in Belleville and surrounding areas. Moreover, Father will continue his weekend ministry with Unbound, formerly the Christian Foundation for Children and Aging. The spiritual baton will be passed to Father Séamus Finn, OMI, Director of the Missionary Oblates of Mary Immaculate United States Province Justice , Peace, and Integrity of Creation (JPIC) since its inception in 1999. Partners Bob and Muriel Klosterman after Sunday morning Mass. 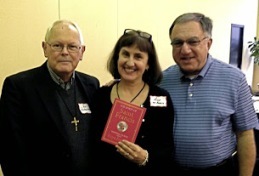 Alicia von Stamwitz and her new book on Pope Francis alongside Father Ron Rolheiser, OMI and Father Tom Rosica, CSB. 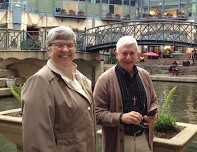 Sister Theresa Sandok, OSB and Father Bill Morell, OMI survey San Antonio’s famous River Walk post-Conference. 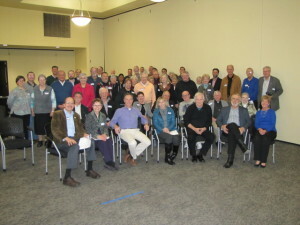 The Oblates and Missionary Oblate Partners gathered in Belleville, Illinois for their Annual Meeting on Friday evening, October 10. Against the back-drop of the natural beauty of The National Shrine of Our Lady of The Snows and Novitiate located in Godfrey, the gatherings, meeting and meals created a complete experience – perceived by the mind, seen through the eyes, absorbed through the heart and tasted on the palate. The opening social and dinner, held in the dining room of the Shrine’s visitor center, was followed immediately by a tour of the offices of the Missionary Association of Mary Immaculate (MAMI) across the highway from the Shrine. The tour was led by Father Jim Chambers, OMI, and post-presentation was given by Father Billy Morell, OMI, Oblate Associate and Executive Directors of The Oblate Missionary Society, Inc. (OMSI). Since the mid-1940s, the mission of OMSI is to build caring, faith-based relationships with benefactors in order to provide spiritual and financial support to the ministry of the United States Province. OMSI’s ministry at MAMI and Oblate Missions (OM) in San Antonio is built on several foundations, to which the Oblates remain ever-faithful. The first, St. Eugene de Mazenod’s direct mail appeal in 1815 to help establish the first Oblate House, and later, in support of the Propagation of the Faith and Oblates when their missionary endeavors extended beyond France. Moreover, OMSI understands and responds to the benefactors’ needs and requests for prayers. Finally, OMSI helps benefactors live their call to participate more deeply in the life of the Church which is fundamentally missionary. The eye-opening tour unveiled each step of the self-contained and finely-tuned direct mail process and personal outreach to benefactors, and demonstrated the care and ministry given to the Oblates’ benefactors, reflects the “reach”, i.e., extension of the charism, and the resources required to maintain its continuous donor outreach and operation. On Saturday morning, the Partners headed for nearby St. Louis to take in two of its most famous sites: The Cathedral Basilica of St. Louis and Gateway Arch. They received a personally-guided tour of the Cathedral Basilica. The Cathedral Basilica is one of the largest collections of mosaics in the world, covering 83,000 square feet, and containing 41.5 million pieces of glass tessare, employing over 7,000 colors. En route back to Belleville, the Partners had the chance to view the Gateway Arch from various vantage points. Sizable waiting lines prevented the willing Partners from taking the capsule-ride to the top of the Arch. After Saturday’s lunch, the Partners were honored by the presence and expertise of 94 year-old Reverend Clarence Zachman, OMI. He provided a history-packed, guided tour of beautiful grounds and the iconic amphitheater, completed in 1962 as a national Oblate center for devotion to the Blessed Mother. 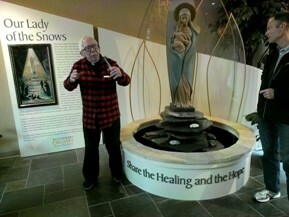 The visitor’s center, Shrine Hotel and Church of the Shrine of Our Lady of the Snows were added over the years. As rich as the tour by Father Clarence was, it was too short to do justice to “an experience of the Shrine” and its extensive ministries, programs and facilities. For the record, Father Clarence stood during the entire length of the Trolley tour of the grounds. By mid-afternoon, the rainy skies began to lighten as the Oblates and Partners made their way to the Novitiate located in Godfrey, Illinois. As if to greet the Partners after nearly two days of continuous rain, the sun shone brightly through the tall pine and oak trees. The program included the Partnership Annual Review via PowerPoint, a presentation of the Oblate Ecological Initiative by its director Sister Maxine Pohlman, SSND. 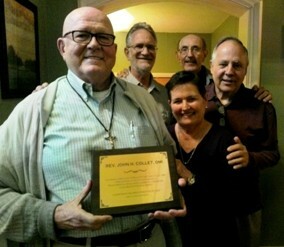 Sunday vigil Liturgy followed and then the dedication of the John Collet OMI Room. 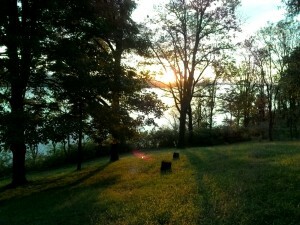 As a perfect ending to a perfect day, the late afternoon sun gave way to a spectacular sunset over the wide Mississippi shimmering below the bluff where the novitiate is located. Not to be outdone by a beautiful sunset, Father Jacques “Jack” Lau, OMI and Novices prepared a sumptuous harvest organic dinner. Father Jack is a graduate of the Culinary Institute of America, and shared his gifts and talents in abundance. The supper’s vegetables were harvested from La Vista Garden, an organic garden maintained by the surrounding community – located on the grounds of the Novitiate. Truly, the supper experience was beyond adequate expression and gratitude to Father Jack Lau, OMI and the Novices. Rev. Jack Lau, OMI, Chef. The evening concluded with a presentation of “The Oblate Novitiate Experience” which included a brief biographical talk by each of the four Oblate Novices. They are: Vincent (“Vinnie”) Adaikalasamy, NOMI, from India, Daniel James (“Jim”) Bourg, NOMI from St. Paul, Minnesota, Thomas (“Tom”) Gerald Franklin, NOMI, from Buffalo, New York, and Antonio Guerrero, NOMI, from Leon, Nicaragua. 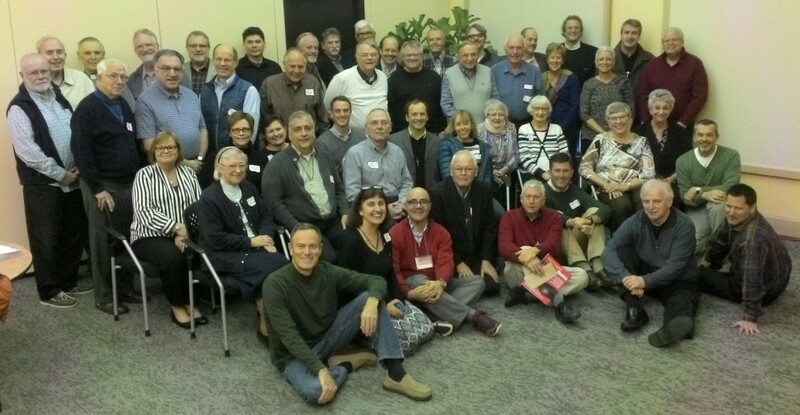 The Oblate Partners’ Autumn experience brings a fruitful harvest of deeper appreciation for the Oblates, the Oblate charism, required resources, and the great potential of the collaborative efforts of the Oblates and Oblate Partners through their bonds of spiritual friendship and practical experience. As we begin to transition from the warmth of the ocean waters of late Summer to the crisp and colorful foliage of Autumn in New England, i.e., Boston, we note with gratitude the crescendo-like transition in the role of Spiritual Director of the Missionary Oblate Partnership from Father Tom Singer, OMI to Father Séamus Finn, OMI. Effective September 1, Father Tom will transition to more one-on-one spiritual direction primarily among the people in Belleville and surrounding areas. Moreover, Father will continue his weekend ministry with Unbound, formerly the Christian Foundation for Children and Aging. Throughout the last six (6) years as Spiritual Director of the Partnership, Father Tom’s missionary spirit and pastoral guidance have been invaluable to fostering its deeper understanding of and witness to the Oblate charism. Father’s spiritual guidance and insights have helped to guide the Partnership’s mission and Mission Statement, and provide cohesion in shaping its identity. Writer and reader alike have greatly benefited from the expansive depth of Father Tom’s knowledge of the Catholic Church, Oblate foundation, and editing skills. inception in 1999. 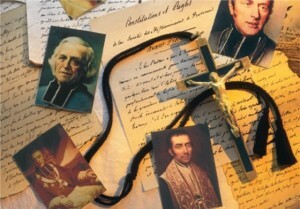 The JPIC ministry has been a priority of the Oblate mission in the US since 1983. His extensive work in this field of public policy advocacy and faith-consistent investing with the collaboration of a well-qualified team adds a very dynamic and contemporary dimension to the Oblate charism and St. Eugene de Mazenod’s missionary spirit of evangelization. Séamus is a frequent public speaker, has been quoted in the religious and secular press, blogs for the Huffington Post and made an appearance on The Daily Show on Comedy Central. He is also a presenter and participant in many international conferences on peace, justice, responsible investing, and the environment. Father is especially renown in the Catholic Church and inter-faith circles for his on-going work in ecumenism and interfaith dialogue. 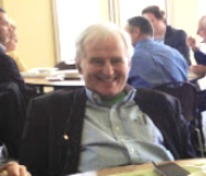 The Missionary Oblate Partnership is most grateful to Father Tom Singer, OMI for his faithful witness, dedication, spiritual guidance and ever-present sharp humor. We wish Father the very best as he continues his ministry and finds the time to stop, smell the roses and enjoy the scenery. Father Tom’s presence will be missed and always remembered with love and gratitude. 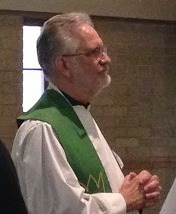 The Partnership welcomes with equal gratitude and admiration Father Séamus Finn, OMI. We are grateful for his openness and availability to add the Partnership to his already extensive ministry. We look forward to his uniquely Oblate spiritual guidance and insights on the issues of day and their role in helping to deepen our understanding of the Partnership’s Mission, its collaborative support of the Oblates, and authentic witness to Pope Francis’ Joy of the Gospel. The Inaugural Gathering of the New England Area Partners is set to take place in Lowell, MA in the upcoming Fall. The actual date and program are in progress, and will be published very shortly. Please “Save-the-Date” and plan to join us! and plan to join us! East Coast Partners Annual Summer Gathering Set for July 16, 2014 in Washington, D.C. Please “Save-the-Date” and Plan to Join Us!